Movie Box is one of the most well-known free movie and TV show streaming apps available for iOS. It makes it very easy for anyone to watch their favorite shows and movies on their iPhone, iPod touch or iPad for absolutely nothing! 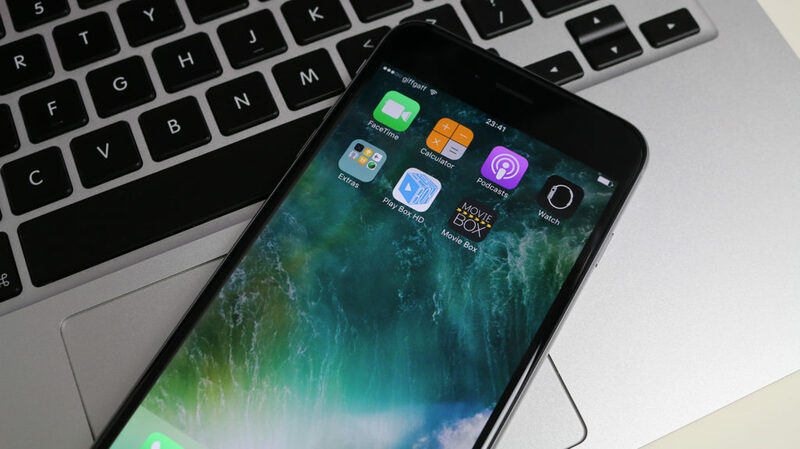 For a long time this app was only available to people with jailbroken devices, however, in recent years it has become possible to install this app without the need for a jailbreak. These methods can be a little temperamental so new websites are always showing up with the ability to install them. This does not require a computer. This app is signed and can be revoked at any time by Apple. If this happens the app will start to crash. To fix this re-download the app and try again. If this does not fix the issue then try again in a few days. Navigate to this page on your iOS device (must be with Safari). Tap on the button in the middle of the page labeled ‘Install AppValley’. You should get a pop-up asking you if you want to install the AppValley app on your device. Tap on the ‘Install’ button, and the app should begin to install on your device like a normal app store application. Tap one of the menus within this page until you find the one containing AppValley. Tap ‘Trust’ twice and the app will become trusted. Open the AppValley app, then tap the ‘Library’ button at the bottom. In here you have the option to view tweaked apps or hacked and paid games. Tap on the ‘Browse‘ button under the ‘Apps‘ section. You should now see a list of all the applications that are available to be downloaded. Find the app named ‘MovieBox++‘ and tap on it. This should bring you to the apps install page. Tap one of the menus within this page until you find the one containing the Movie Box app you downloaded. Tap ‘Trust’ twice and the app will become trusted. You should now be able to open and use the Movie Box app on your iPhone, iPod touch or iPad. How do you update movie box cause its saying it needs updated. Hi. I had installed app valley just last week, and even installed movie box which is my favorite app. Everything was just running smooth until now. When just all of a sudden nothing works. It says untrusted app. I tried to reinstall it and this time when i go to settings and click on profile for trusting the app. I just cant press or see the trust button. Plzzzzz help. Same thing happened here. Must of blocked it again. Hi, can I check if there’s anyway of screen casting from this app? Or if not are there any similar apps that do allow casting, for iOS 10.3.3. Thanks.